Petron Corporation proved its commitment to Philippine motorsports anew as it sends off the country’s representatives to the Rainforest Challenge (RFC). Considered to be the most extreme off-road competition and the ultimate challenge for 4x4 enthusiasts, the Philippine team will compete against 30 other teams from Asia, Europe, and the Americas. The finals will be held from November 23 to December 5, 2018 in Kelantan, Malaysia. Representing Team Philippines are Eduardo ‘Randy’ Sobrepeña and Ronnie ‘Boxy’ Malonzo from the Pampanga Off-Roaders Club Inc (PORCI). They were the winners of the RFC Global Series Philippines Championship Race last August 24 to 27 in Pampanga. The grueling competition tested off-road driving, vehicle winching and recovery, bushcraft, camping, mechanical skill, and survival. Sobrepeña and Malonzo will be driving a Land Cruiser FJ40 in the RFC Grand Finals. 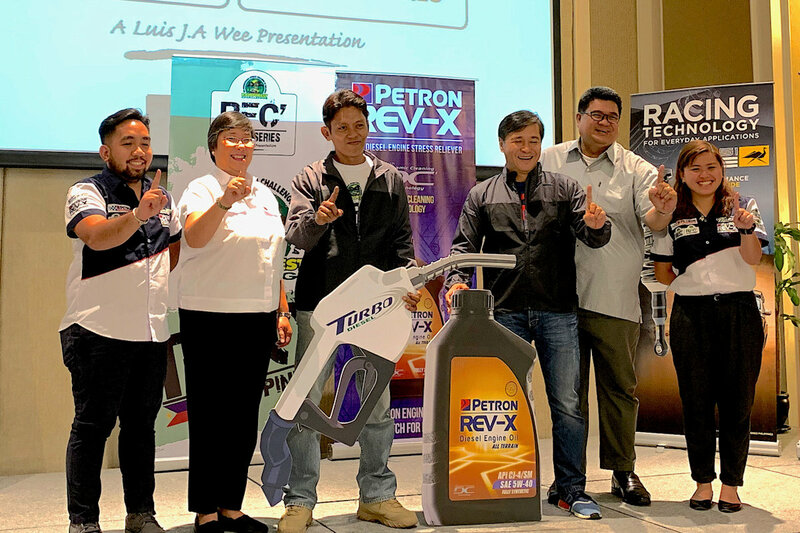 As the official fuel and engine oil partner of the RFC Grand Finals in Malaysia, as well as the Philippine Championship Race, Petron will be putting its Petron Turbo Diesel and Petron Rev-X Turbo HTP to the ultimate test. Petron Turbo Diesel is a high-performance, technologically-advanced fuel that delivers quicker engine response, smoother acceleration, and better power. With robust multi-functional additives, this superior diesel fuel delivers exceptional protection and rapidly cleans the engine to unleash the full power and optimum performance of diesel engines. Meanwhile, Petron Rev-X Turbo HTP (High Temperature Protection) is a high-premium, PAO-based fully synthetic 5W-40 engine oil. It is highly recommended for naturally aspirated and turbo-charged or supercharged high-performance heavy-duty diesel engines. It prevents soot and piston deposits to maintain superior engine cleanliness and efficiency; prolongs the life of emission control systems like diesel particulate filters and exhaust gas recirculation; and provides extended engine protection due to outstanding thermal and oxidation resistance, thus preventing wear and corrosion for longer engine life.